I cleaned the coop yesterday morning when I got home from my latest trip. The ducks especially were SO excited to go to bed and find brand new soft straw bedding on the floor! I've been using straw for years...and would never use anything else. 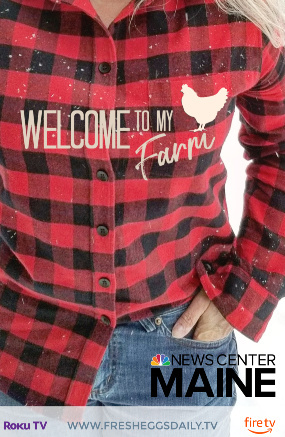 It's relatively expensive here in Maine - but only the best for my flock. It keeps them warm and happy and smells so good! And when I clean the coop out, I use the old straw to mulch the garden. And no, before you ask - using straw bedding doesn't lead to mites. After ten years of using almost exclusively straw, I've never seen a single mite on my chickens. Ever. 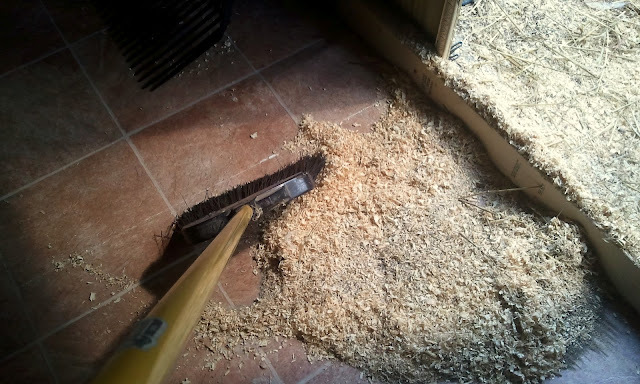 In the past, we had always only used straw on the floor of our coop, but in our new chicken coop I built back while we were still living in Virginia, I decided to try pine shavings instead. 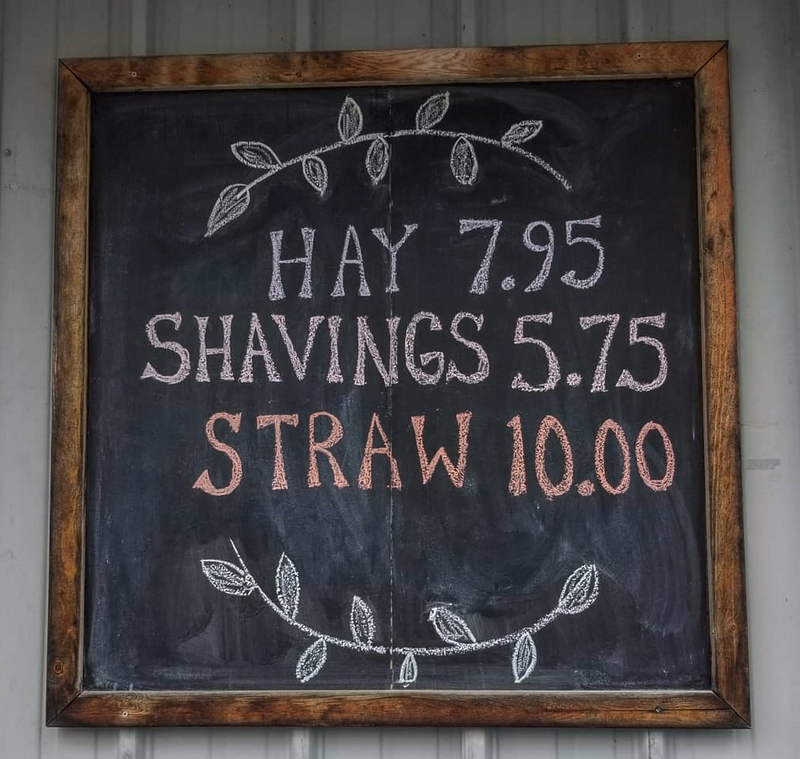 When the topic had come up on Facebook, people seem pretty evenly split on whether they use shavings or straw, so we decided it was time to give shavings a try. Within minutes, some of the chickens had come in to see what I was doing and began scratching in the shavings, as chickens are prone to do. Within two days, I had three chickens with respiratory problems. They were breathing with difficulty, one was braying almost like a donkey and squeaking in between breaths. (Thank goodness, I was able to treat them fairly easily with VetRx and saline solution in their eyes and they are all fine now.) I immediately suspected that the shavings were the culprit. I shoveled and swept out all the shavings and replaced them with a nice deep layer of straw. While I was removing the shavings, my eyes started to water and my throat started to tickle, so they certainly do create a fair amount of irritating dust. I don't know for sure that breathing in the shaving dust or eating particles is what caused the breathing difficulties, but that was the only thing I could think had changed and the timing was just too coincidental. There was no paint, stain or sealer used inside the coop, so I could rule out any paint fumes being a factor. 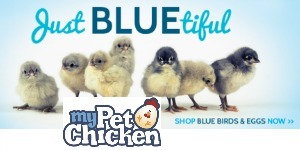 Chickens are extremely susceptible to respiratory issues and I don't want to subject our flock to anything that might trigger any breathing problems. 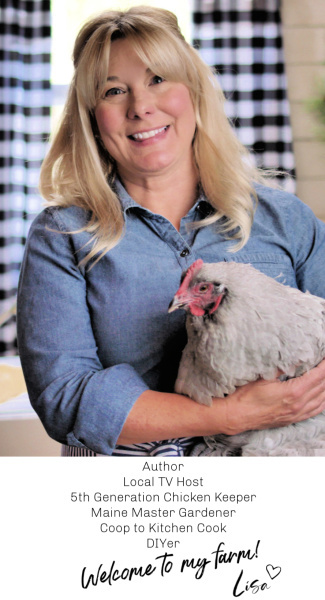 You may use shavings in your coop and never have had a problem, but I do know that we get asked fairly often on our Facebook page how to treat chickens with respiratory issues . ...so just keep in mind that the shavings dust could be a contributing factor. If you do choose to use shavings, try and get the larger 'chips' versus smaller shavings, and NEVER use sawdust. Also, only use pine shavings, NEVER cedar. 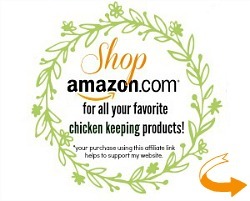 Cedar is too aromatic and the oils have been proven to be harmful and even toxic to chickens. Pine needles (or pine straw) is another good option, as is dry clipped grass or dried leaves. You can't beat free! 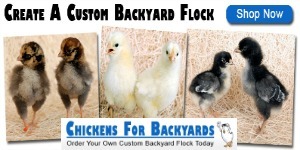 And your chickens will LOVE poking around looking for weed seeds and bugs! NEVER use hay as coop bedding. Hay is livestock feed, straw is livestock bedding. Hay is too 'green' and tends to harbor mold and bacteria which is extremely detrimental to poultry health. A warning about sand: It seems that some chicken keepers have started using sand in their coops and just scoop out the feces like you would in a cat litter box (kind of like I was able to do with the shavings). But beware that sand has the potential to harbor e.coli pathogens even more than water does, is also dusty and can lead to silicosis (a respiratory disease) and the chickens might be tempted to eat large quantities of the sand which could lead to impacted crops. Read more here about why you should never use sand in your coop. Update: I have heard from lots of you who have decided to try sand and then lived to regret the decision. For all the reasons above and more. 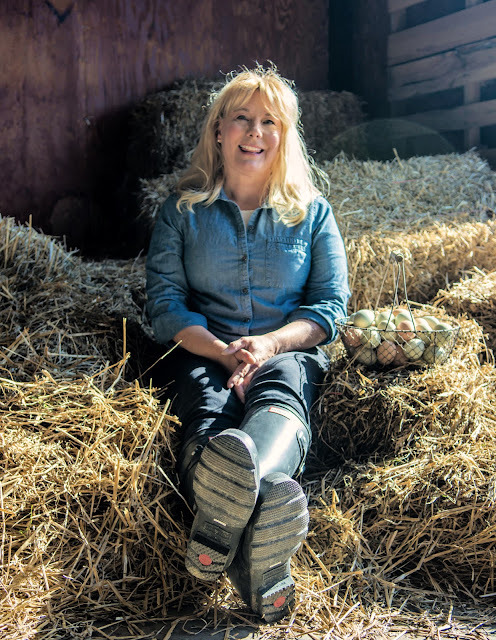 "It's stinky, hard to remove, the chickens don't like it, it's cold"
I admit that cleaning out the soiled straw is not as easy as removing soiled shavings, but in raising chickens, as with any other type of animal, it's not about what is easiest for me, but what is best for them. And I am convinced that straw is best for them. Now our hens can scratch to their heart's content and I won't worry they are going to end up wheezing and coughing. And no, mites and lice won't hide in the straw. I've been using it for years and never had any issues with parasites. 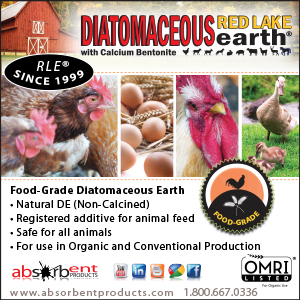 If you're concerned, a sprinkle of diatomaceous earth (DE) or lime on the floor of the coop and some occasionally sprinkled over the straw and raked in will help not only control bugs but also dry the poop and reduce the chance of ammonia fumes. ©2012 by Fresh Eggs Daily, Inc. All rights reserved. 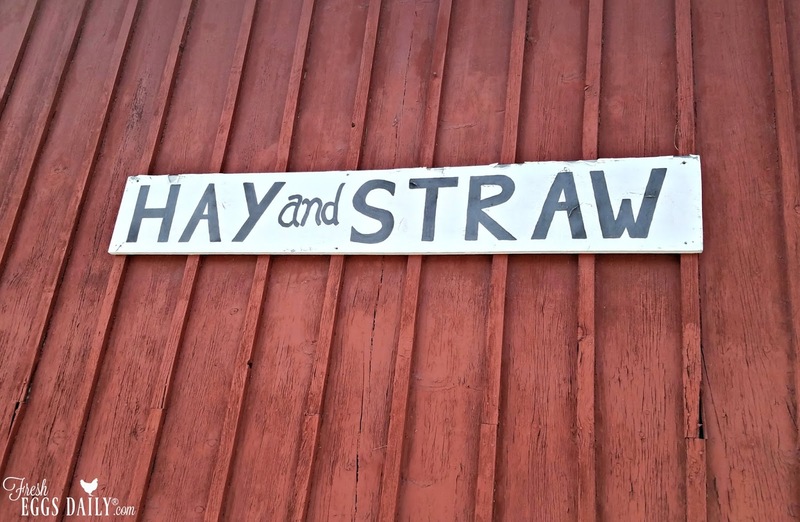 So, what's better: straw or HAY? (I just had to throw that out there! LOL) We started out using pine shavings/chips, but I read that ducks should not be around them...and when they started sharing the coop we switched to hay. We can't seem to find straw anywhere! No hay...hay molds way too easily when it gets wet. If you can't find straw, I would recommend not leaving any feed or water in the coop if you absolutely have to use hay. Pine needles, grass clippings (once they have dried) or even shredded paper would be preferable. I know one woman takes all the scrap paper from work that is collected next to the copy machine and shreds it for her coop. Tried that but all the paper stuck to the eggs...and very hard to get off. I've been using pine shavings in the coop without a problem (I guess I've been lucky...) I use hay in the nest boxes. I'll have to look for some straw. We have used pine shavings but our shavings seem to have larger pieces of shavings. No problems! I save my fallen leaves in the barn, and add fresh, dried leaves through out the winter. The smell is wonderful, the chickens love scratching in it, and it makes great compost in the spring! Plus it is 0 cost!! 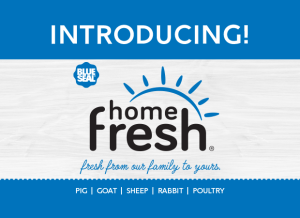 I don't have my chickens yet (still working on the coop) but I've been reading your blog daily for tips. I had a thought about the shavings - I do own rabbits and pine and cedar shavings are known to cause respiratory and liver problems due to the volatile chemicals they release. Aspen shavings are generally considered safe though, so I'm curious if it would work for chickens as well. For my rabbit litter boxes I'm currently using wood stove pellets (same thing as pelleted pine horse stall bedding) and it's great. The volatiles are baked out, so it's safe. 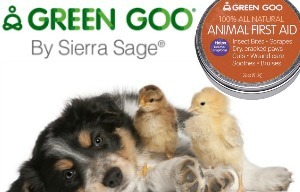 I think this could be an excellent chicken litter as well, so I wanted to recommend it. 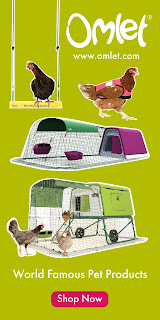 When we finally get our chickens, it's what I plan on trying first. It's very absorbent and dust free. I had issues with both pine shavings (my chickens ate it) and with straw (so wet here, it got nasty quick). So I use shredded paper in the nest boxes and coffee chaff in the coop. Both free and upcycled! The chaff smells great, and I can use a kitty litter scoop and remove the poo daily. The negatives are that it is light (flies around) and sticks to the eggs (which is why we still have straw in the nest boxes). I was wondering also. And if its light and flies around I wonder if they would end up breathing that in also. Coffee chaff is a waste by product of coffee roasting. Do you know how GRATEFUL I am for this POST..?? For weeks I have been battling eye infections in four of my babies..Three Siklies and one small Dominique..And guess what I use for bedding ?????? Yep pine shavings..All of the dust has got to be the problem, because other than that everything else is fine. and on top of that I have been having a fan on them because of the HEAT..But now I have other chickens (12) in another coop that I use other material in, and not one of them has any eye problems..I think you have turned on a light bulb fo me my dear that I am so Grateful for...As soon as I get going in the morning, coops will be completely redone with hay..thank you so much..
Serenditipitous post then! I am so glad if even one person is helped. Dust and also could be the pine aromatics or oils. Let me know how the straw works. When I had ewes ready to deliver I was told to use straw rather than shavings because of the dust. Straw got wetter and had to be picked up more, but it was cleaner. Yes I do know people use sand. I am debating trying that. I like your idea of sand with straw on top, especially in the winter. never use a pelleted liter for chickens as they eat them and they will swell inside of them and cause major problems, just FYI. I use pine pellets for my 2-4 week old chicks and they dug in it more than ate it, so IDK, they are all fine. We use sand in the kennel area and fresh mulch my husband gets from his chipper, in the nesting boxes and coop. Cedar can be toxic to chickens. The oils can cause breathing problems and the chips are toxic if they eat them. I am thinking dirt and sand IS the way to go. My grandparents chicken coop had dirt floors and they used straw in the nesting boxes. This shavings thing is new I think....If you only use something on the floor in the winter, I would go with straw because its a far better insulator and it decomposes so fast for the garden in the spring. We are getting chicks in the next week or so, and are building our coop. My question is, do chickens NEED litter at all? Our coop will be 3x4 (plus the 1x2 nesting boxes). The coop will be under our deck which we are caging off as our run - 12x10 feet. Could I just put straw in the nesting boxes and let them poop on the linoleum or possibly lining with flat newspaper? I figure they'll be out in the run most of the time, and it is covered so they will be able to be outside even in the rain if they want. Good To Know! Thank You!!! I've used Flake from day one...no problems. Knock on wood! I use pine shavings too. I haven't noticed any resp. problems but will be on the look out for it. I remember reading that straw harbors mites. Do you find that? Thanks for such great topics and tips! Can you do a post/thread on the Deep Litter idea? And no I have never had any issues with the straw harboring mites or mold or anything. Although a family of field mice did take up residence the first winter in the straw! I use the bedding pellets and have not had a problem with them eating it. I have 35 chickens and so far so good. They don't spend much time in their coop either. I have been using shavings in their nest boxes, but I'm going to switch to straw. Thanks for all the info! I've been using the pelleted wood litter and it is SO dusty. I think I will be switching over to sand! What a great idea! We use shavings under the coop to catch droppings, but the bottom is outside. We also have shavings in the stalls, again there is plenty of airflow and we don't have respiratory problems. We LOVE bedding with pine needles in the pen! It allows airflow and lets the muck dry much faster. The fact that it's free is another bonus, but not the main reason we use it. We have loads of pine needles. I need to start raking them up and using them. The respiratory problems came from the pine itself - turpentine comes from pine sap and there are chemicals in the pine shavings that irritate all animals' respiratory passages. If you want to use shavings find a hardwood mill - those that are reputable will tell you what sorts of wood they use - oak sawdust and shavings will not cause the same issues. I have been using bulk shavings from a hardwood mill for the three years I have had chickens and have yet to run into any difficulties. Pine shavings also cause irritation for horses so I would switch to another bedding source for them as well with the caution of ensuring that the bulk material does not contain walnut as this is very toxic to horses. They only sell pine shavings around here, so straw it is for the coop. The horses don't spend much time in their coops fortunately since its pretty temperate year round here in Virginia. TSC has a wonderful, clean, large flake pine flake bedding. No dust. 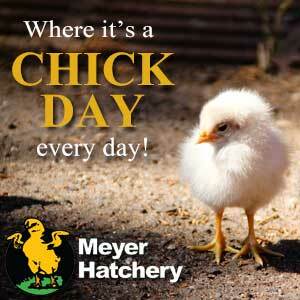 I only use it in the hen house and pick it out daily. No respiratory issues. I'm going to stick with the straw. I've used it for years and been happy with it, but I am glad that others use the pine bedding without issue. The more I read tho, pine AND cedar can both be harmful to chickens and other animals. Thanks for this very important post. Lots of great information. Wow. Interesting post. I've used only pine shavings since my girls were hatchlings, and no issue at all for any of the ten. I do like the TSC large flake and haven't noticed any dust with it. I wonder if switching bedding itself might be as much the issue as what type we use ? That is, I wonder if I might see breathing or eye problems if I switched away from the shavings I normally use to something new? 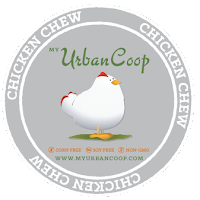 It seems like most chickens really do best when we don't change their routine. I think you might be right about that also - mine haven't been on shavings for years since they were chicks in a brooder. They might build up a sort of tolerance for whatever they are used to. I have a similar set up with my new roosts. In our old coop, the roosts spanned pretty much the whole floor but I can see now that like you, with the chickens only in the coop briefly to lay their eggs and then to sleep the poop is going to end up under the roosts and a removable tray would take care of that. I can imagine the straw in the rest of the coop will last indefinitely. I've been using pine shavings since day 1 and have had no problems but I admit the idea of using sand is intriguing. I put a slide out drawer in the bottom of my coop and worry that sand may be too heavy. Has anyone tried using kitty litter instead? Of course I don't mean the highly scented stuff, but an all natural type? I believe most kitty litter is pine based. The more I read, the scent and oils in the pine can cause respiratory issues also. Sand has the downside that they will eat that also....ugh! I use sand and my coop has the slide out metal tray. It works very well. I use straw in the coop, but recently switched to sand in the brooder box. I will eventually switch to sand in the coop too. It is so easy to clean the sand with a kitty litter scoop! 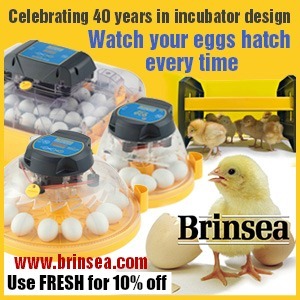 One major advantage of sand in the brooder is that the footing for newly hatched chicks is outstanding! I like to use a combination of things, as using only one seems to cause more packing. Usually it's the flake size of pine chip, some straw and when I catch them on sale, hardwood stove pellets (they don't eat them). But in trays under the roosts, I use clumping kitty litter (the roosts are situated so the chickens don't scratch in it.) Then I use a kitty litter scoop to clean out the clumps and add fresh. And that's where most of the poo goes. Then the clumps are thrown on the compost pile. (I checked the litter ingredients on my brand and didn't see any unfamiliar chemicals). Wonderful article, I will be switching asap!! I have been using pine shavings from the start. Mainly because my husband can bring it with the tractor trailer (for free!). The shavings come straight from the lumber mill, so they are not treated with anything as the stuff that is in bags may have been. I don't know, I haven never used the bagged shavings before. I don't even have to clean the hen house out a lot. I just rake it out every other day. My hens are outside "working" in the yard all day and just go inside at night. The nesting boxes are on the floor and have "poop shields" on top. These also get cleaned off every other day. The hen house was built from Pergo Pallets and the hens roost on the pallet cross bars. We mounted roosts for them and they refused to use them, so we took the roosts back out. I have read that the chance of the chickens having mites is higher when using straw and that is one reason I want to stay away from straw. I have never had an issue with mites, so I can't speak to that. I have my leghorn hens in a Kennel until I can get my funds together to build a real coop for them. I have wine crates in there as their nesting boxes, so when they are ready lay their eggs. The one thing I am having a difficult time is getting them to stop sleeping in it. They have a nice roost, but choose not to sleep there. I don't know what to do :( I clean it out every other day because of their poop (YUCK) when they start laying I read it's not good to have a dirty egg and that it will penetrate the eggs so we cannot eat them. 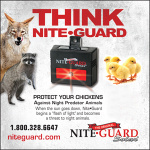 I really want to make sure they don't lay any eggs on the ground either. Please help! :) Thanks so much for your time! Aloha! I have hens who refuse to use the roosts too! I buy bagged bales of wood shavings and use on floor of coop and in nest boxes (I add straw in the winter). No respiratory problems in 3 years but it is definitely dusty. As far as eggs and poop...I go out each morning and clean the poop out of the nest boxes before they get back in to lay. Poop, as far as I know, won't penetrate the egg shell. I rinse any dirty eggs in lukewarm water and a tiny drop of antibacterial dish soap, rinse again with just water, and dry with a paper towel. I use both pine flakes and straw.... last year I too noticed the *sneezing and coughing* but since I have mixed the straw with the pine flakes...I no longer have a problem. Thanks for all the info!!! I've used shavings so far with no dust or respiratory issues. It's been so wet and humid, I'd hate to deal with straw. But from what I'm reading I may switch to straw in the coop itself where it would stay dry. It sounds like it will help with the winter cold as an added bonus. I have a small coop, with an 16' X 8' a frame run with four layers. The coop has a pull out tray with a metal bottom. I use sand and a kitty litter scoop to clean and like it. The run had lots of grass, now very little. I have used all natural pine shavings in the nest boxes with no problems so far. All useful info, including the many comments! Thank you! Hmmm, made me think. I use shavings... and they are pretty dusty. Don't judge! We've never used any form of bedding in our current coop (wooden shed), just hay in the nest boxes. We also don't clean out the coop very often, only 2-3 times a year. I read that leaving the poo will allow beneficial microbes to develop, and that appealed to my lazy side. But we recently increased the size of our flock (from 25 to 70+) so the hen house is now quite full. We're trying to figure out what new roost system to install, so I was glad to see your suggestion of 2x4s--I had thought that was too big. As the floor of the coop is now much more in use due to so many chickens, I was thinking I'd use shredded paper. My concern is that we've always had mite problems in our wooden roosts, despite bleaching treatments (I removed the roosts, sprayed with a bleach solution, and left them in the sun to dry) and the last thing I want to do is make this problem worse. Any suggestions? 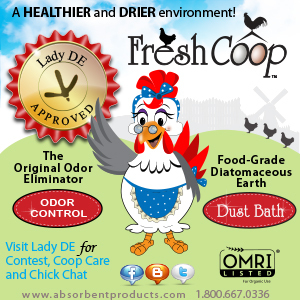 I forgot to mention that we also use DE liberally around the coop, run, dust bath areas, and on the birds themselves. This hasn't helped the mite situation any. Not sure how this post is 'judging' anything other than giving you my first hand experience. Cedar is toxic, hay is too green and can harbor bacteria and mold. 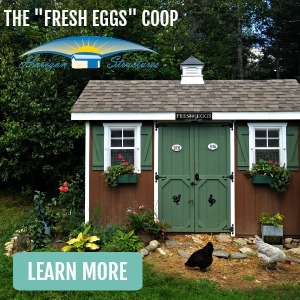 I am hoping that I misread this - because I am having a hard time picturing a coop filling up with chicken poop for three or four months! Without even any bedding to turn over. While it's true that the Deep Litter Method involves letting the poop collect and decompose, it ALSO involves added clean litter on top. 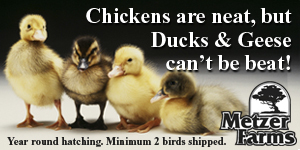 I don't' even want to THINK about your chickens walking around in a coop full of chicken poop. Not only that, the bedding provides a soft landing from the roosts. 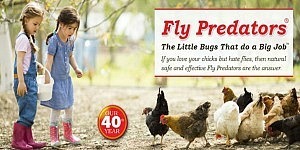 As for your mites, I don't know but I am thinking all that poop can't be helping. I would completely empty your coop, scrub it down with white vinegar and let it air out. And then stick to a regular cleaning schedule. The "don't judge" was in reference to our poop cleaning technique--or lack thereof. (*embarrassed*) I'd like to mention that our flock was 98% BB Bantams-extra small, so the poop buildup was very slow. But while the new additions are also mostly Bantams they dwarf our original girls and I realize we've got to change our tactics. Thank you for your advice and great informative posts. Aha got it - saying don't judge your comment vs. remarking that my article was judgmental :0) If you toss in some straw on the floor of the coop, and sprinkle DE liberally once you get rid of the mites, I think you'll find everything goes pretty well. And the Deep Litter Method isn't the lazy man's way out - it actually IS beneficial so you're right there! Thank you, Thank you. I have been using pine shavings even with the chicks. We have been fortunate but I will change things. We do get fresh pine from trees that our neighbor cuts but it's different than the store kind, more heavy. We have many pine trees up here near the sierra's so I'm going to gather some pine needles, and use some dry grass and get some straw. I think your blog is the best! I was reading your other post about the deep winter method which sounds great and I will be doing it this winter. However, I thought in that article you said to use pine shavings first then straw. 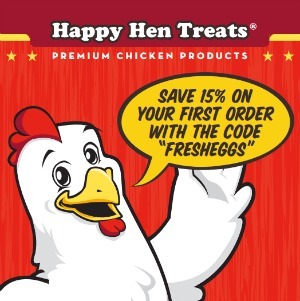 How does this method not cause the problems you describe in this as my chooks will be no doubt scratching around in it? Yes, it IS recommended to start with a bottom layer of shavings because they start composting very quickly - so that's the advice I gave when using the DL Method. Honestly tho, I just use straw and the deep litter method works just fine. I can't get the larger 'chip-like' shavings or I probably would start with a thin layer of them. But either way, you're covering up the shavings with straw so it's not nearly as dustry as shavings alone. Your posts are so wonderful and informative, Lisa! Amazing blog you've got here. 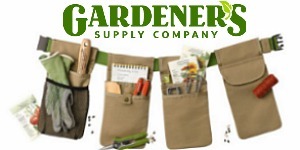 :) I especially love the DIY projects —will certainly be building the log swing and the "salad bar" when the chicks I get this summer are older! 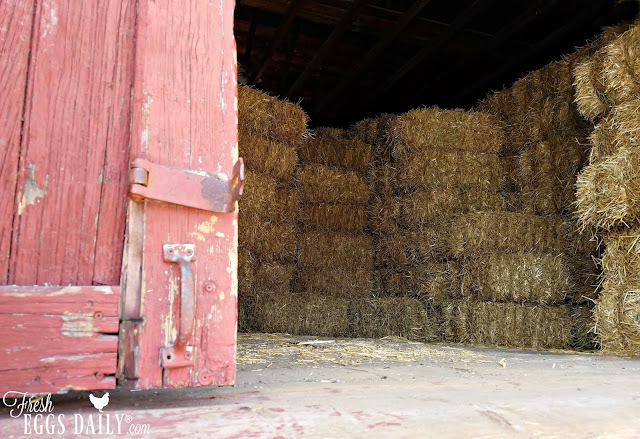 One question about straw: how often do you clean it out in the coop/nesting boxes? I want to make sure I clean it out often enough. Thank you! I know this is an old thread, but I just put some Timothy Grass in my hen's nesting boxes. I was wondering if you have had or have heard of anything useful about Timothy Grass. Good or bad? My three hens have been using pine shavings / since they were about 2 months old. I'm wondering if the shavings may be the problem with their questionable egg-laying production. I live it a very congested part of Florida and finding a feed store that carries straw rather than hay is difficult. - Thanks so much for all of your very useful information. I want to use straw for my coop floor and in the nesting boxes but I want to mix it with Koop Clean so each will last longer. How often should we change area? Also our chickens are pooping in the nest boxes and I have to clean them out almost every day. Does that sound right?